Despite the progress accomplished by international bodies in defending and promoting women’s fundamental rights, these rights are still not respected all over the world. 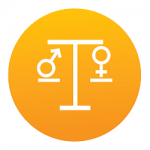 Within the Euro-Mediterranean region, the environment – social, political, legal, administrative, economic and cultural – is characterised by deeply entrenched inequality between men and women. One of the worst forms of discrimination is violence against women (VaW) that continues at an alarming rate across the region, facilitated by insufficient legislation and impunity for perpetrators. Whilst the #MeToo campaign represented a positive step forward in highlighting the issue of VaW, backlash movements against women’s rights rooted in populist and conservative movements, often using a traditionalist and religious discourse, have increasingly appeared on both sides of the Mediterranean. In turn, these movements have exacerbated the shrinking space for civil society currently experienced across the region by introducing a gender-based dimension, with women’s rights defenders facing significant risks and threats. As one of the few platforms in the Euro-Mediterranean region, EuroMed Rights brings together northern and southern women’s rights organisations on an equal footing in its Women’s Rights and Gender Justice Working Group (GWG). Established in 2004, the GWG works towards influencing EU and governmental efforts to promote gender equality and combat VaW, as well as supporting feminist civil society in the region. The group’s work is based on four axes: networking and capacity building; monitoring and documentation; advocacy and solidarity. The current focus of the GWG is on enhancing the legal environment for combatting violence against women through the harmonization of national laws with international standards, such as the CEDAW and Istanbul Convention, and the subsequent implementation of these laws. In addition, given the current context of populist movements promoting an anti-feminist, “moral” discourse and increasing backlashes against women’s rights, the GWG aims to build and promote a rights-based counter-narrative and undertake solidarity actions with women’s rights defenders. EuroMed Rights runs a campaign promoting the Istanbul Convention, that you can find here. The working languages of the GWG are English and Arabic.